Juan Huerta is a motorcycle rider. He advocates for clients who have sustained injuries in motorcycle accidents as a result of another driver’s recklessness or carelessness. We will help our clients recover maximum damages for a full range of serious injuries, including wrongful death, amputations and extended hospital stays. Juan Huerta Law can establish liability on the part of the other driver related to reckless driving, speeding, running red lights, inattentive or drunk driving. Accidents occur because of defective parts such as helmets, swing arms, chains, brakes, throttle cables, tires, brake cables and other parts. 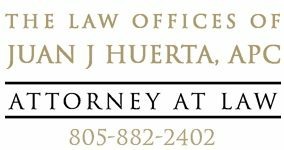 Juan Huerta Law also aggressively handles cases of motorcycle accidents due to dangerous roads and unsafe conditions on public property. El Abogado Juan Huerta hable con sus clientes personalmente en Español.